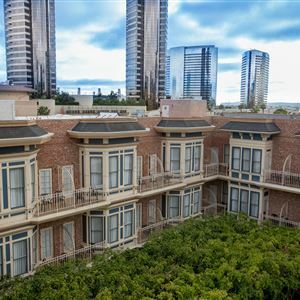 Property Location With a stay at The Horton Grand Hotel, you'll be centrally located in San Diego, steps from San Diego Chinese Historical Museum and minutes from San Diego Convention Center. This historic hotel is close to Balboa Park and San Diego Zoo. Rooms Treat yourself to a stay in one of the 132 individually decorated guestrooms, featuring fireplaces and flat-screen televisions. Complimentary wireless Internet access keeps you connected, and cable programming is available for your entertainment. Conveniences include desks and coffee/tea makers, and housekeeping is provided daily. Amenities Make use of convenient amenities such as complimentary wireless Internet access, concierge services, and gift shops/newsstands. Dining Grab a bite to eat at the hotel's restaurant, which features a bar, or stay in and take advantage of room service (during limited hours). Quench your thirst with your favorite drink at a bar/lounge. Cooked-to-order breakfasts are available daily from 6:30 AM to 11 AM for a fee. Business, Other Amenities Featured amenities include a 24-hour business center, limo/town car service, and complimentary newspapers in the lobby. Planning an event in San Diego? This hotel has 22766 square feet (2115 square meters) of space consisting of conference space and meeting rooms. With a stay at The Horton Grand Hotel, you'll be centrally located in San Diego, steps from San Diego Chinese Historical Museum and minutes from San Diego Convention Center. 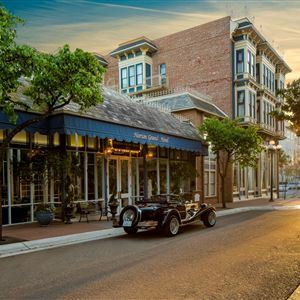 This historic hotel is close to Balboa Park and San Diego Zoo. Treat yourself to a stay in one of the 132 individually decorated guestrooms, featuring fireplaces and flat-screen televisions. Complimentary wireless Internet access keeps you connected, and cable programming is available for your entertainment. Conveniences include desks and coffee/tea makers, and housekeeping is provided daily. Grab a bite to eat at the hotel's restaurant, which features a bar, or stay in and take advantage of room service (during limited hours). Quench your thirst with your favorite drink at a bar/lounge. Cooked-to-order breakfasts are available daily from 6:30 AM to 11 AM for a fee. Featured amenities include a 24-hour business center, limo/town car service, and complimentary newspapers in the lobby. Planning an event in San Diego? This hotel has 22766 square feet (2115 square meters) of space consisting of conference space and meeting rooms.